SUNNYVALE, Calif. (KGO) -- Caltrain's Board of Directors is honoring two San Mateo County Sheriff's deputies and a security guard for their heroic efforts. 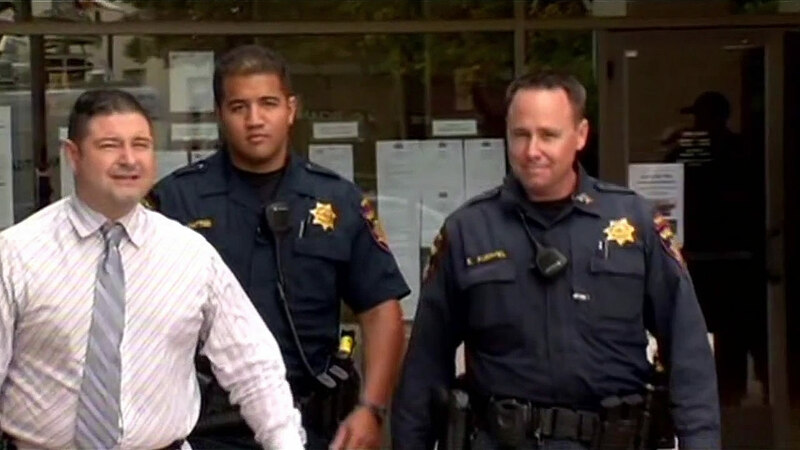 Security officer Dell Thompson was recently patrolling the Redwood City Caltrain station when authorities say he prevented a suicide attempt. And Deputies Lance Whitted and Erik Rueppel made headlines earlier this month after they saved the driver of a stalled car from an oncoming train. Video posted to YouTube by a witness shows Whitted pull Nelson Gomez out of his car just before the Caltrain slammed into the 20-year-old's vehicle. Local dignitaries, including U.S. Representative Jackie Speier are attending Thursday's event.